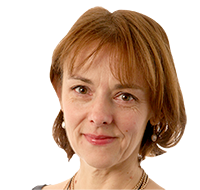 Once again, Lucy Kellaway has begun the new year with an article on her Golden Flannel Awards. This year, the title is Time to get stoked by the year’s worst corporate guff. The kicker reads; Many entries in the 2015 Golden Flannel Awards made the flesh creep as well as offending eye and ear. And, if you haven't previously consulted Lucy's Guffipedia, now is a good time to start. If avoiding corporate guff is relevant to your writing and translation services, add the Guffipedia site to the list of resources you consult when rereading. Guffipedia: Lucy Kellaway’s dictionary of business jargon and corporate nonsense.